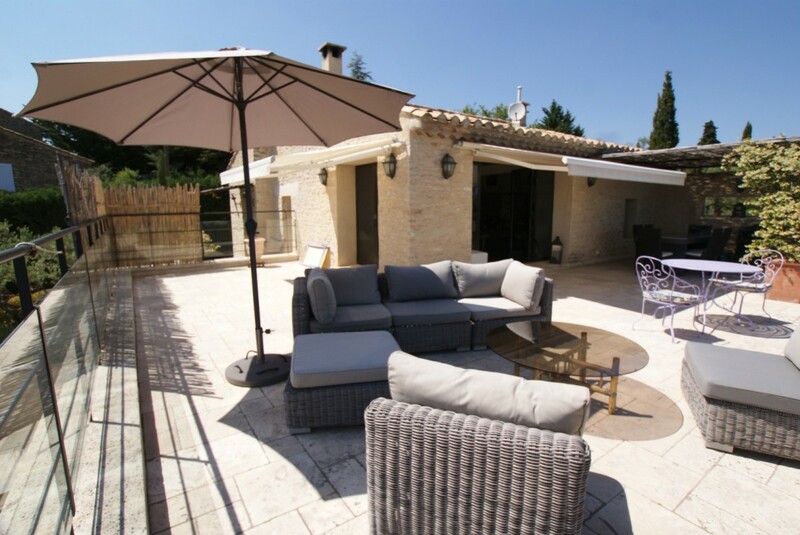 Chez Sam is a recently build villa set in a very private and residential area at a short walking distance to Gordes, one of the most beautiful villages of France. 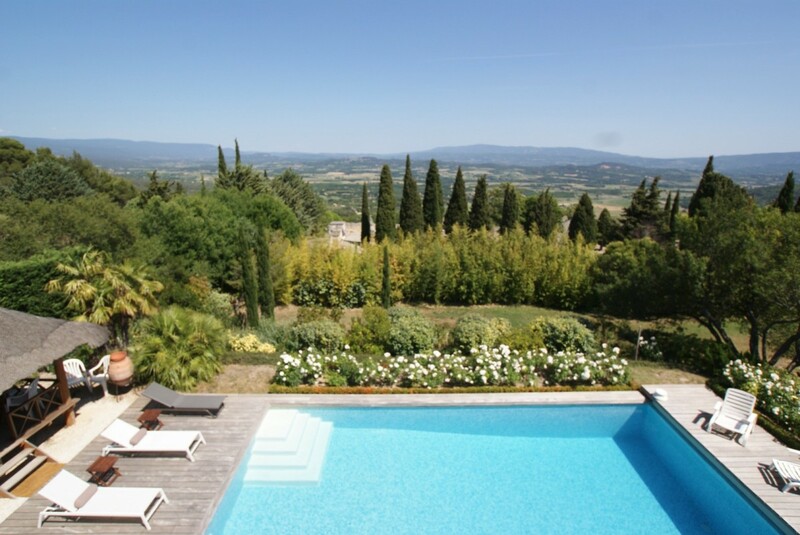 The villa offers an impressive East facing panoramic viewpoint over the Provencal valley, illuminated hilltop villages and the Luberon Mountains. The villa has been built on 2 levels. The upper levels comprises an open space living room with a dining, a seating area with a fireplace and a fully equipped kitchen. 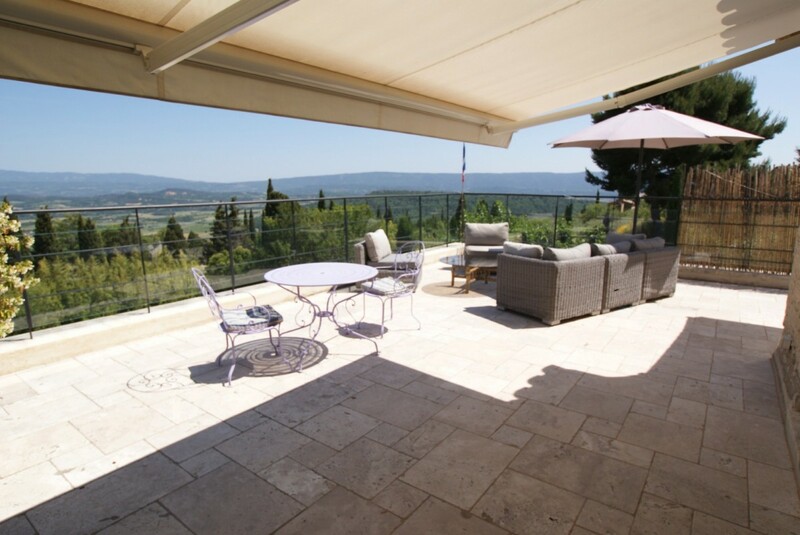 The living room is entirely equipped with an underfloor cooling system and has 2 large French windows leading to the terrace thus to enjoy the view and the garden. The lower level is cooler than the upper one and offers 3 spacious bedrooms all with en-suite bathrooms. 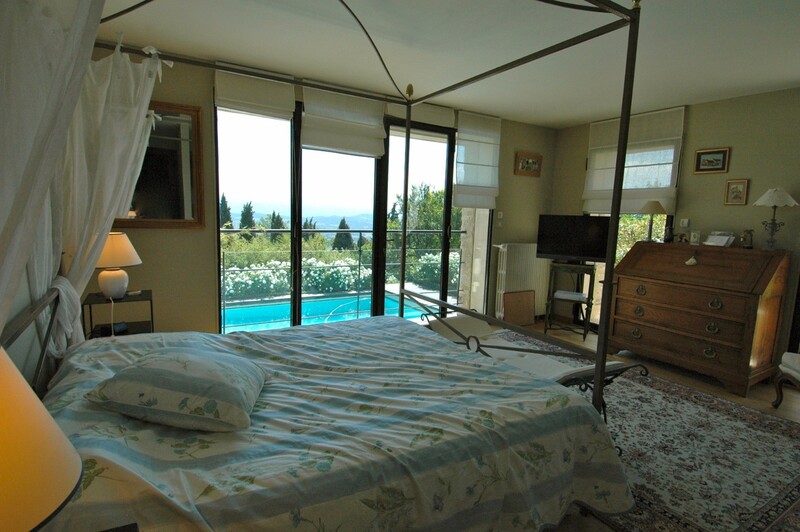 The 2 double bedrooms are overlooking the pool area and have their access inside the villa while the 3rd one has an independent access from the pool deck. 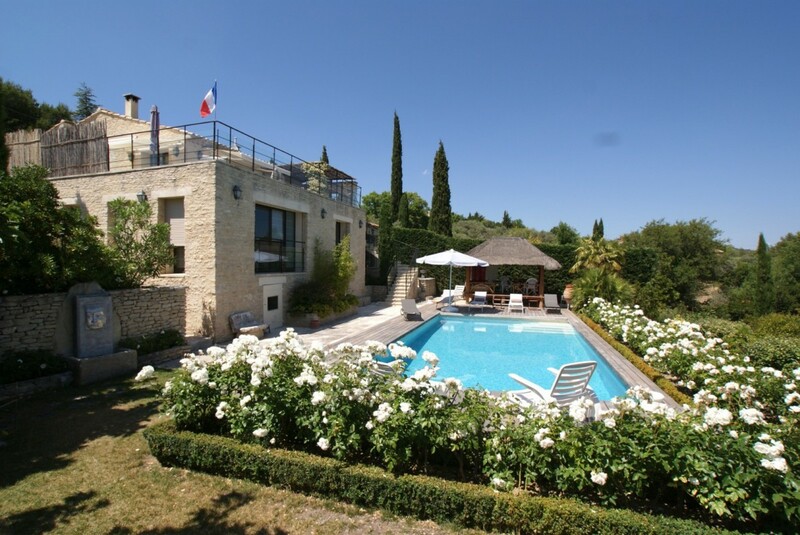 Chez Sam is a lovely family home decorated in a modern and Provencal style with a touch of authenticity with black and white photographs. It is well equipped with a high technology systems and smartly organized thus each can have his own privacy inside and out. 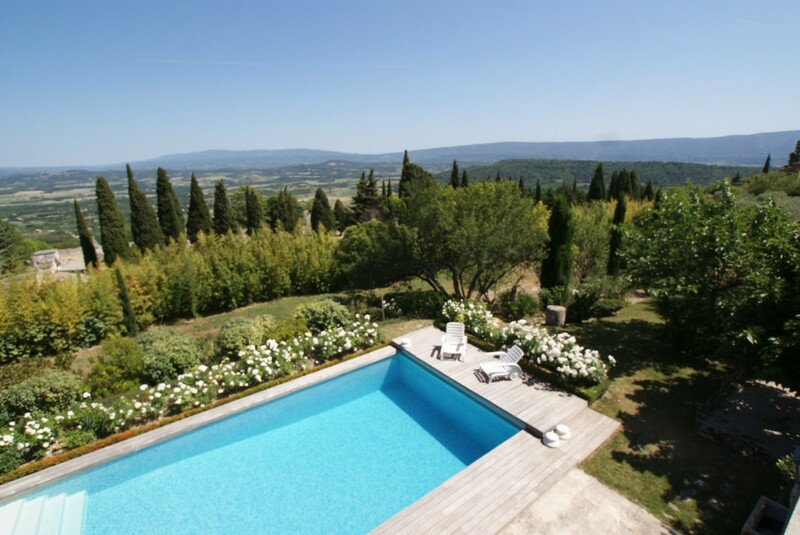 General information: The villa offers 180 sq. 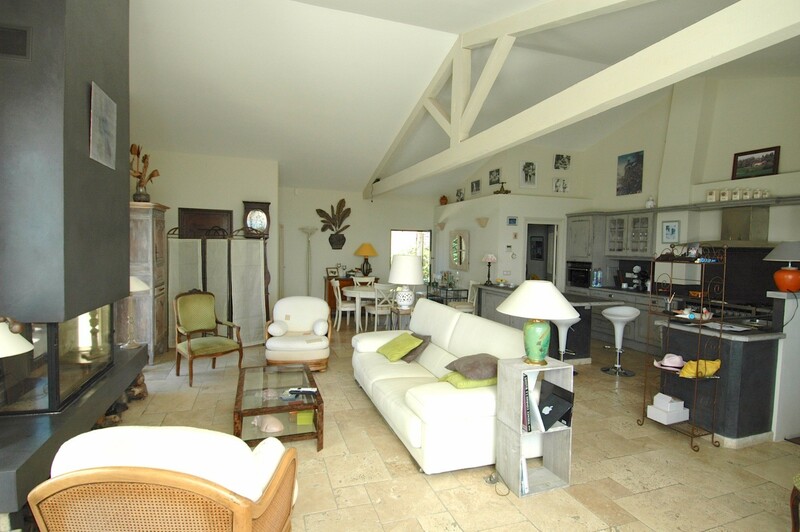 m of interior living space and extensive exterior living areas with 4,000 sq.m of landscaped gardens and grounds. Bedroom 1: Master bedroom with a queen-size bed, WIFI, TV, en-suite bathroom with bathtub, vanity and WC. 2 guests maximum. 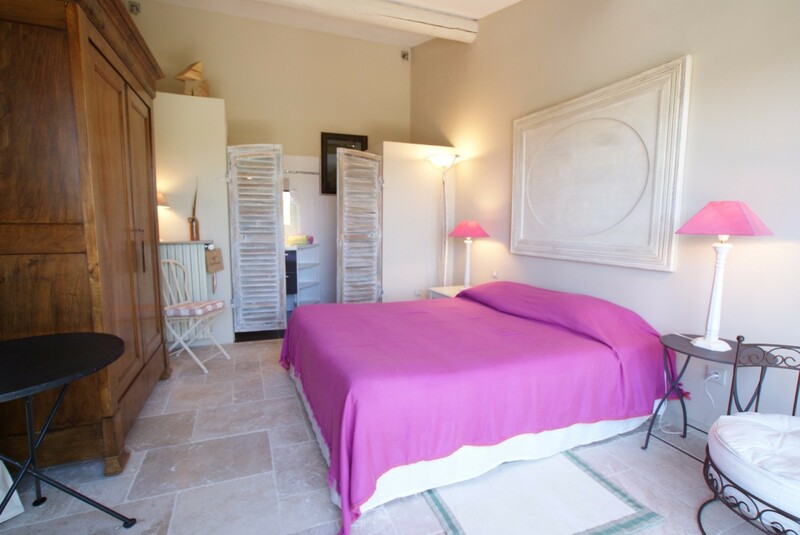 Bedroom 2: Bedroom with a double bed, WIFI, en-suite bathroom with shower, vanity and WC. 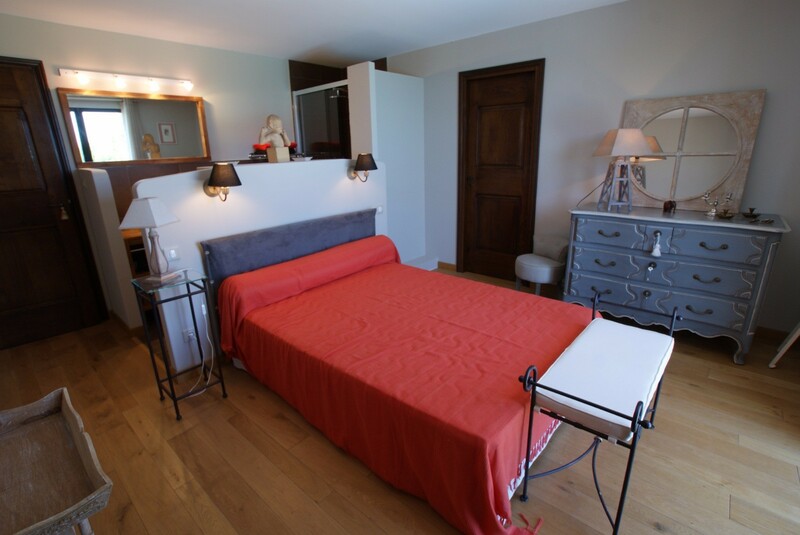 Bedroom 3: Separate bedroom with double bed, WIFI, en-suite bathroom with shower, vanity and WC.